What a fantastic end to another great running year as we celebrated the November 2017 RV Beginner Course graduates. 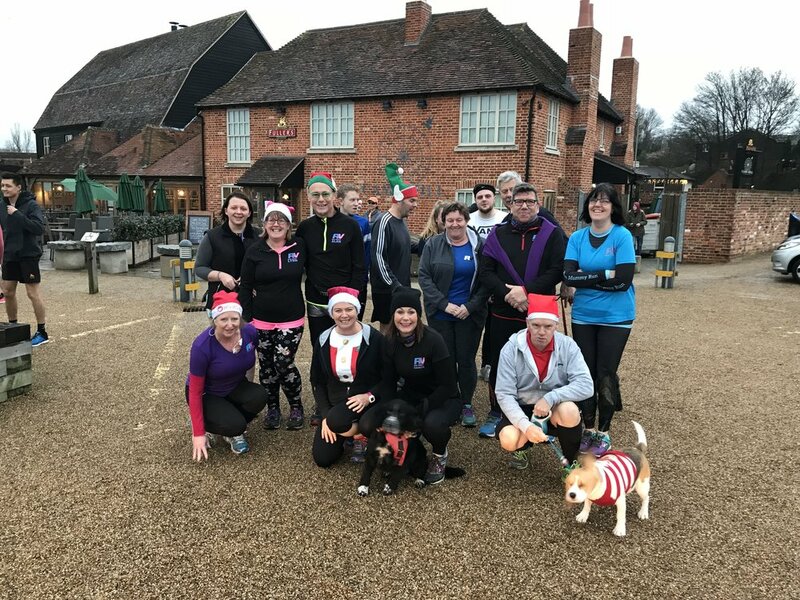 We also went along to the Christmas Day parkrun which was a first for many of us, it was a brilliant atmosphere and a great way to start the day. With over 50 RV members entered in the Twixmas 10k race on the 31st December we were disappointed in the event being cancelled. It was the right decision as the course of the run was waterlogged and dangerous. As people were stil expecting to run I organised a 2 lap route around Whiteley and handed out some medals that had been donated to us by the Dreams Come True team. New Years Day saw a number of RV members running both the Fareham and Lee on Solent parkrun which was a brilliant achievement.